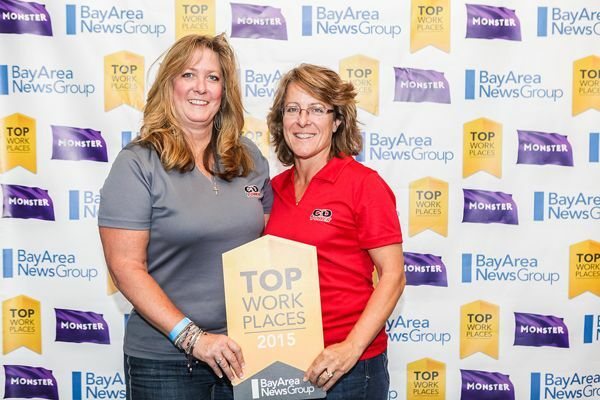 CD & Power President Jill Collaro with Lisa Carter, General Manager at the Top Workplace event at Levi’s Stadium in June 2015. The Bay Area News Group named CD & Power as the #1 Top Workplace in the Bay Area for 2015 in its sixth annual top workplace survey, conducted by Workplace Dynamics. CD & Power is a Contra Costa based success story, established 30 years ago in Concord and still owned by the same family. Now under the direction of the second generation owners, the company is still executing the same vision: to be the best generator service company in the area.